Ever since its publication in 1900, L. Frank Baum’s “The Wizard of Oz” has delighted and inspired millions of people, both children and adults. The classic American tale of plucky Dorothy traveling the Yellow Brick Road to the Emerald City to see the Wizard of Oz with her companions Scarecrow, Tin Man, and the Cowardly Lion, has inspired any number of adaptations and spinoffs, such as the famous 1939 film starring Judy Garland. 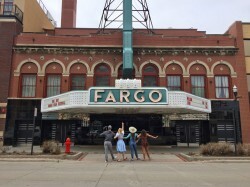 The Fargo-Moorhead Ballet aims to contribute to the longstanding tradition of adaptations of “The Wizard of Oz” with a regional premier of their own original ballet. Matt Gasper, a master instructor with Gasper’s School of Dance, created all-new original choreography for a ballet rendition of “The Wizard of Oz,” as well as researching and collecting the music for the production, which comes from artists such as Bruno Coulais, Hans Zimmer, Francis Pouzenc, and Francesco Lettera. Gasper saw what rich material “The Wizard of Oz” provided for a ballet. “The story is such a classic. It has life lessons for young and old.” In developing the ballet, he not only drew from Baum’s book, but also previous play productions and scene plays. He also took a cue from the 1939 MGM Studios film adaptation in finding the music for the ballet, given its near omnipresence in pop culture. “The MGM classic film is iconic and that is what the audience may be expecting, so in finding the music for the characters and scenes, I needed to find similar melodic phrases that the audience could relate to,” Gasper said. After that long resume of performances, Gasper became a master instructor at Gasper’s School of Dance and Performing Arts, North Dakota State University, and Gasper’s Academy. Under his tutelage, Fargo-Moorhead Ballet is nationally recognized and respected for its original choreography, employment of quality artists, and its educational and outreach programming. He has also acted as an ABT-certified guest instructor throughout the United States. 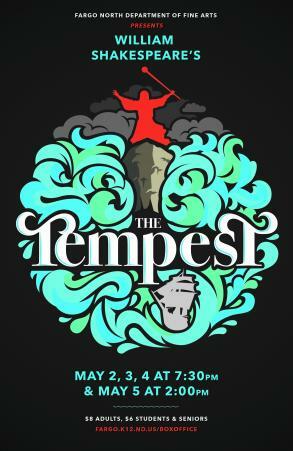 The cast for this ambitious production, which has over 70 performers, is comprised of regional dance professionals as well as community dancers from children to adults. “Auditions are open to all area movers and dancers,” said Gasper. This way, younger dancers can dance alongside more seasoned ones who are able to act as mentors. The production will be taking place at the historic Fargo Theater on April 1 and 2.